Jumbles and puffs, monkey pudding, Dixie biscuits, pond lily salad, lightning cake, and foolish pie are just a few of the delightful names of dishes included in this collection, alongside more familiar foods such as crackling corn bread, lobster croquettes, celery soup, potato pies, and bread pudding. Found by researchers exploring the attic at Catalpa plantation, these “receipts” date back to 1870. When Daniel and Martha Turnbull began in 1820 to build an estate that would eventually encompass seven plantations, they could not have known that for more than 120 years, their family would continue to live, thrive, and enjoy good food at Rosedown. Two of the Turnbulls’ grandchildren married into the Fort family of Catalpa Plantation, thus joining these distinguished families together. 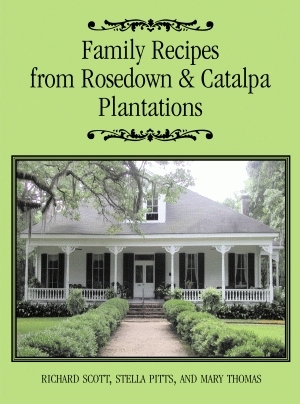 Nearly three hundred recipes originating from English and Scottish relatives, slave cooks, and neighbors in West Feliciana Parish are included here, preceded by a brief history of plantation life and plantation cooking in the antebellum South, as well as firsthand memories of Rosedown. These recipes are used in the present-day Rosedown Plantation kitchen demonstrations. 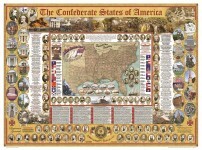 The book is compiled, researched and written by Richard Scott, Stella Pitts, and Mary Thompson. Richard Scott is a resident of New Orleans and a former Rosedown interpretive park ranger. Stella M. Pitts is a Rosedown Plantation volunteer and former newspaper reporter residing in Woodville, Mississippi. Mary Thompson, of St. Francisville, Louisiana, is the great-niece of the three legendary Bowman daughters who devoted their lives to the maintenance and preservation of their family home.